Looking young dynamic techno commercial professional preferably from the solutions selling industry who can develop the business across railways segment in India. - Good exposure with Advanced building, Clean rooms, Utility tunnels and smart city solutions. - Good experience of Electrical & SAT system on Track side. 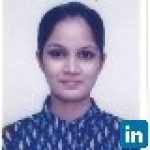 - Strong experience of selling to engineering EPC on basis of technical specifications is a must. Interested candidates may connect on mobile no. 9867222227 to know more.